Iron Builder is one of my favourite build competitions, and it’s on again with Chris Maddison and Cecilie Fritzvold vying for the title, using the Nexo Knights shield element as the Secret Ingredient. Each Friday I’ll be choosing two or three images from each builder, and showing what they’ve done! 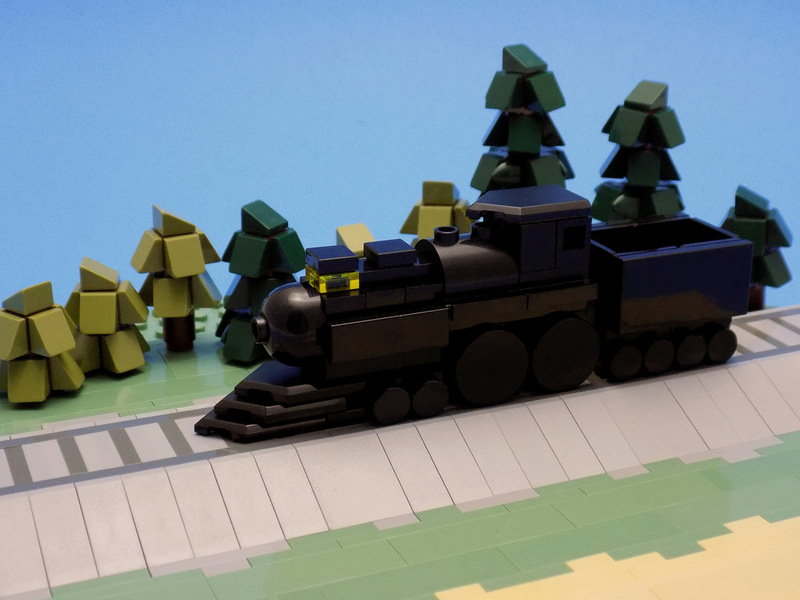 You can follow the action yourself at the Iron Builder Flickr discussion page. First up is this amazing microcale build from Cecilie. 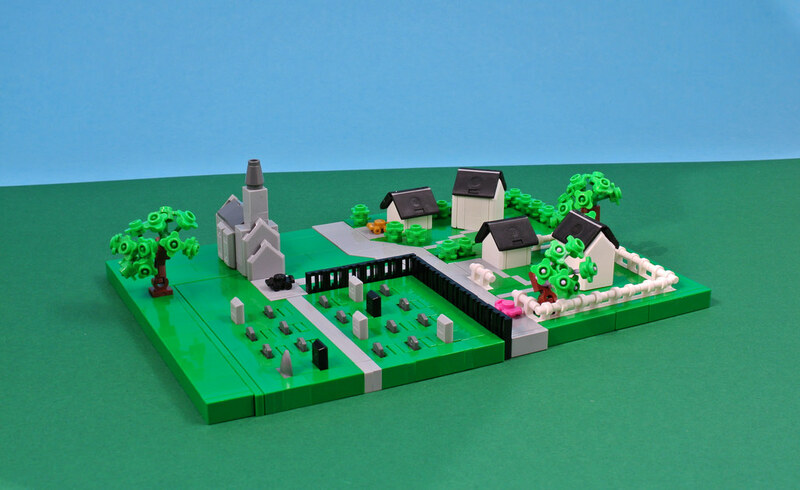 I love the amazing parts usage in this, from the roller skate as cars, the white picket fence, laptops as roofs, and of course the shield element in the church and other buildings. Chris is up next with this stunning black locomotive. The secret ingredient as the cow-catcher is perfect, and I love the understated colours in this one. It’s almost like a pastel drawing, it’s so smooth. The trees are gorgeous. Back to Cecilie with yesterday’s build. There’s so much detail here, but it’s hard not to notice the curtains. The use of the secret ingredient here is inspired. I also love the miniature Death Star sitting on the bookcase, and the shield element in the seating on the couch as well. 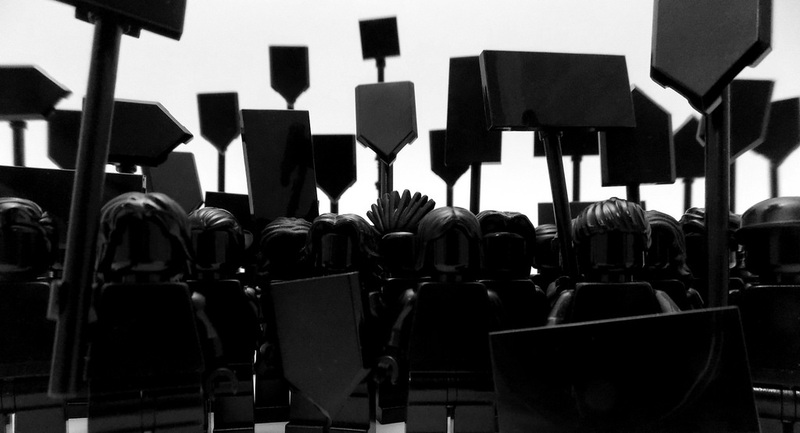 Chris finishes the week off with this monochrome image of protesters. I’d love to have that many solid black minifigures, and the shields again are excellent. What a battle! I wonder what next week will bring?